Enjoy the finest in Chesapeake Bay Fishing Charters on Maryland's Eastern Shore at Hoopers Island with Sawyer Charters! We are located on Hoopers Island, just 40 minutes south of Cambridge, Maryland. In addition to Maryland fishing charters, we offer Chesapeake Bay lighthouse tours, nature cruises, and other Chesapeake Bay tours, as well as Chesapeake Bay crab feasts! Come join us for a memorable experience on the Chesapeake Bay! Regardless of the size of your group, or the uniqueness of your occasion, there is nothing that we can't handle! ABOUT US LOCAL RESTAURANTS LODGING SPONSORS & LINKS CHESAPEAKE BAY FISHING APPAREL CHESAPEAKE BAY FISHING RECIPES CONTACT US SEE US ON FACEBOOK! 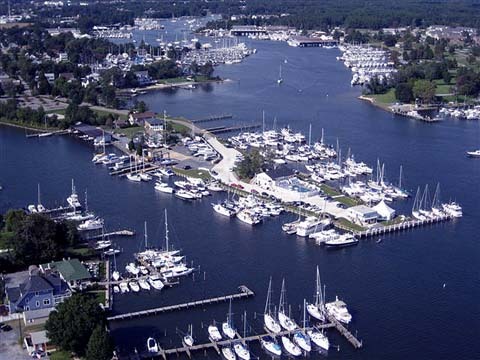 Solomons Island is located where the Patuxent River feeds into the Chesapeake Bay. 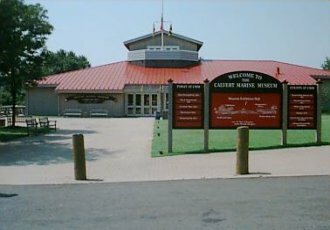 It is a major tourist attraction and popular weekend destination, with several marinas, upscale stores, seafood restaurants, a marine museum (pictured above), as well as plenty of nightlife, with the well-known Tiki Bar. The island got its name from Baltimore businessman Isaac Solomon, who built a cannery there after the Civil War. There were several shipyards here in the 1800s to support the fishing fleet, and it has been a major marine center ever since. Solomons Island also had a role in the Second World War as amphibious invasion forces were trained there. The Patuxent River Naval Air Station is right across the Patuxent River from Solomons. We offer full and half-day Chesapeake Bay Maryland fishing charters off of Maryland's Eastern Shore, fishing for rockfish (stripers or striped bass), bluefish, croakers, Spanish mackerel, and other species. We also offer Chesapeake Bay lighthouse cruises, nature cruises and other Chesapeake Bay tours, floating crab feasts, and cruises to various destinations along the Chesapeake Bay. 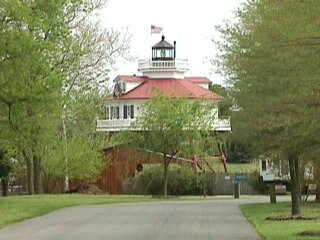 We are located on Hoopers Island, about 40 minutes south of Cambridge, Maryland. Regardless of the size of your group, or the uniqueness of your occasion, there is nothing that we can't handle! Come join us for a memorable experience on the Chesapeake Bay!